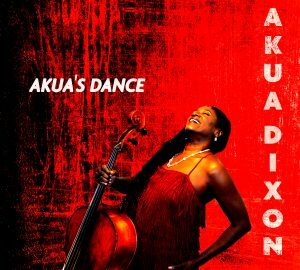 Past, present, and future glide together with uncommon grace on cellist Akua Dixon’s sublime new album Akua’s Dance, a project that brings her sumptuous sound firmly to the foreground. 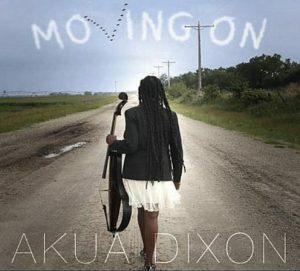 Dixon’s third recording for her Akua’s Music label features the jazz string pioneer on an enthralling array of material that encompasses exquisite balladry, the music’s deepest roots in African and African-American culture, and instrumental pieces gleaned from Dixon’s opera-in-progress. And what a rhythm section! Seven of the 10 tracks feature her stellar working quartet with guitarist Freddie Bryant, bassist Kenny Davis, and drum maestro Victor Lewis, whose voluminous credits include classic sessions by Woody Shaw, Stan Getz, Carla Bley, and Bobby Watson. If she sounds particularly mellifluous and muscular, it’s because Dixon exchanges her cello for a baritone violin built by the late luthier Carleen Hutchins, “an instrument with the same tuning as my cello but a larger, deeper sound,” Dixon says. She makes the most of Carter’s poised virtuosity, showcasing his gorgeous bow work on “Afrika! Afrika!,” an arrangement gleaned from a three-movement orchestral composition Dixon wrote in response to a 1972 trip to Ghana. His resonant notes undergird the rapturous ballad “If My Heart Could Speak to You,” a piece by Dixon’s college friend Aziza Miller (who spent many years as Natalie Cole’s music director). And Malone provides a firm but delicate pulse on Dixon’s playful, sing-song waltz “Orion’s Gait,” a tune inspired by her son during his adolescence. 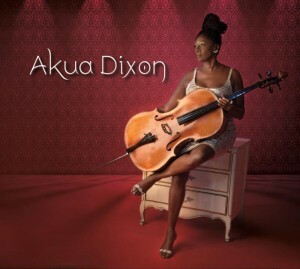 Akua’s Dance represents a significant step in synchronizing Dixon’s discography with her stature as a seminal jazz cellist. Born and raised in New York City, Akua Dixon grew up in a family suffused with music, starting with her early experience singing in the Baptist church. She forged her most profound and enduring creative relationship playing at home with her older sister, the late violinist Gayle Dixon, shortly after the cello came into her life in the 4th grade. After graduating from the prestigious “Fame” High School of the Performing Arts, Dixon studied at the Manhattan School of Music when the only track available for cellists centered on European classical music. But the pit band at the Apollo Theater provided a rigorous course of study in popular African-American styles. Backing a disparate array of stars from Rev. James Cleveland and Barry White to James Brown and Dionne Warwick, Dixon developed a vast idiomatic repertoire. After Sammy Davis Jr. insisted the Westbury Music Fair include African-American musicians in the orchestra, Dixon worked with numerous major acts at the theater. Before long she broke into Broadway pit bands, playing a series of long-running shows such as Liza Minnelli’s Liza with a Z, La Cage aux Folles, Cats, Doonesbury, and Dream Girls. Dixon was at the right place at the right time. In the early 1970s the New York scene was exploding with creatively ambitious and talented string players, many of whom gathered in the String Reunion, a 30-piece orchestra founded by Noel Pointer. She served as ensemble’s director of new music, supplying the group with a steady stream of original compositions and arrangements. At the same time, Dixon launched her own string quartet, which made its big league debut at the Village Gate. With sympathetic string players at their service, jazz giants like Archie Shepp, Rahsaan Roland Kirk, Woody Shaw, Jimmy Heath, and Frank Foster started including violins, cellos, and violas in the arrangements. “There were so many opportunities for interesting work,” Dixon says. She collaborated closely with another jazz giant in the early 1980s as a founding member of the Max Roach Double Quartet. 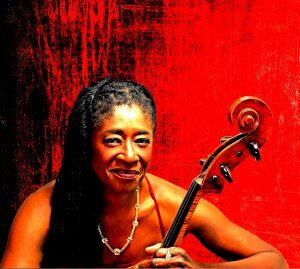 After years of lending her skills to recordings by masters such as Don Cherry, Buster Williams, Charles Tolliver, Carmen McRae, Dizzy Gillespie, Tom Harrell, and her former husband Steve Turre, Dixon made a bold statement of her own with 1994’s Quartette Indigo (Landmark), an acclaimed album featuring violist Ron Lawrence and violinists Gayle Dixon and John Blake Jr. (reissued by 32 Jazz). She delivered a brilliant second album in 1997 with Afrika! Afrika! (Savant) with Lawrence and violinists Regina Carter and Marlene Rice. She spent much of the next decade immersed in education, working as a Musical Ambassador to New York City for Carnegie Hall Education and performing for their Neighborhood Concert Series as well as Jazz at Lincoln Center’s Jazz In The Schools tours. Dixon developed the Hip Hop Blues Project and composed an original work for string students in New York and New Jersey to perform each year. During that time she was an active freelancer locally, including recording and writing string arrangements for The Miseducation of Lauryn Hill and Aretha Franklin’s A Rose Is Still a Rose. Dixon also notated and conducted a new ballet, “Riverside,” by Judith Jamison and Kimati Dinizulu, for Alvin Ailey American Dance Theater’s 1995 premiere at City Center in New York. With the release of 2012’s Moving On and 2015’s Akua Dixon, Dixon refocused her priorities and put her own music on the front burner.